Northern Lights tours to book for autumn 2018 in Finland, Norway, Sweden and Iceland. Find out more ideas for Northern Lights holidays at Countryliving.com/uk. Autumn is a wonderful time to view the Northern Lights, when you can combine your Aurora-hunting holiday with walks in the forest, wildlife spotting, foraging and a whole host of other warm weather activities before the winter months set in. 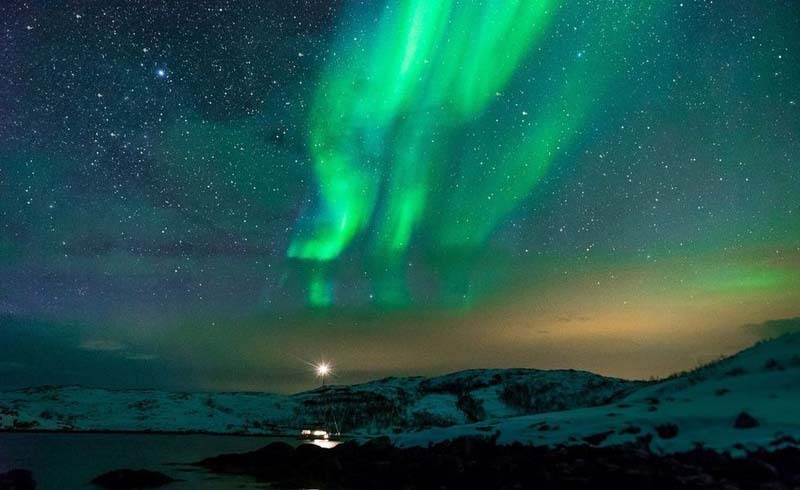 Research has found that autumn offers a very high chance of witnessing the magnificent Aurora Borealis displays in northern Europe, with the weeks around the equinox (20th/21st September) often providing the best time to observe the natural phenomenon. Renowned scientists and Aurora experts Professor Christopher T. Russell and Professor Emeritus Robert L. McPherron, from the University of California, Los Angeles (UCLA), say: “This is because it is becoming increasingly darker in the Auroral Zone and there is less cloud cover in the sky – both of which are essential for successful viewing. 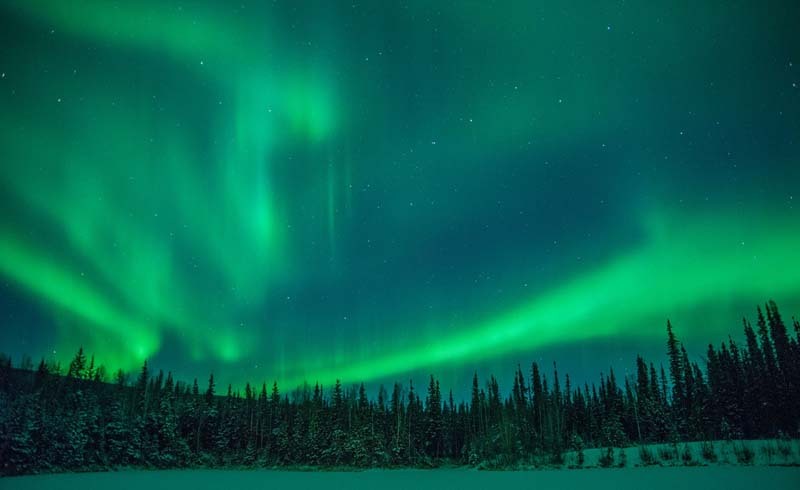 Meanwhile, Ali McLean, the founder of Northern Lights holiday specialist The Aurora Zone, adds: “Autumn has very often been overlooked in favour of the winter months but, in my experience, it is one of the very best times to go Northern Lights hunting. Arctic Sweden is a wonderful place to explore the autumn wilderness, where you can get up close to nature with foraging, fishing and learning to build a fire - all under the majestic Northern Lights. In Swedish Lapland, you can examine fresh animal tracks, identify the best spot to set up camp and watch as a chef cooks up a storm with the ingredients you’ve collected in the wilderness, before watching for the Northern Lights as the skies darken. Combine the vibrant Arctic city of Tromso with an escape to the stunning Lyngen Alps for an unforgettable glamping holiday under the Northern Lights. 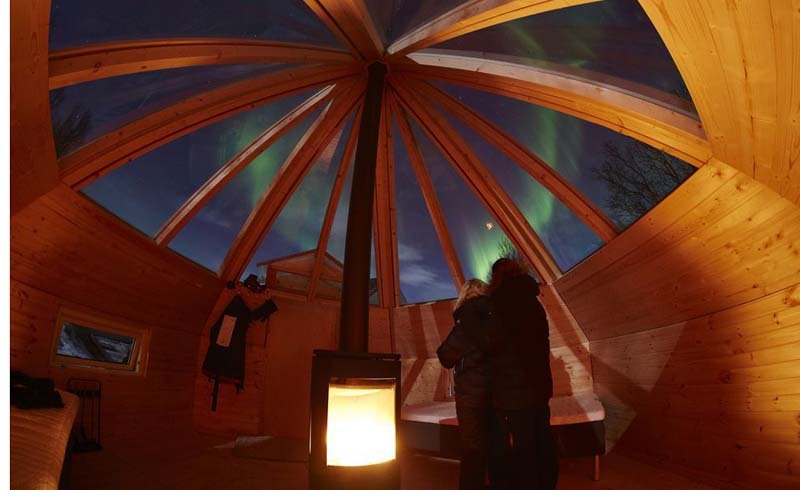 You can spend the night in a glass-roofed Crystal Lavvo (a traditional tepee) situated in a forest far from light pollution, ensuring prime Aurora spotting opportunities, all from the comfort of a cosy bed. With a mix of relaxed and adventurous activities, such as RIB (rigid inflatable boat) wildlife trips and guided Aurora husky hikes, there’s plenty to discover before the Lights put on a show after dark. 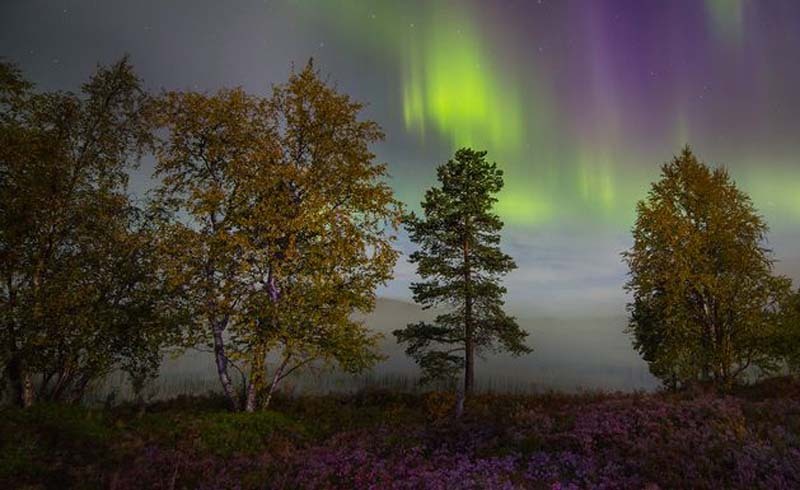 For an action-packed autumn Aurora break, head for Finnish Lapland, where the warmer temperatures and seasonal colours provide the perfect location to try a a range of adventures. 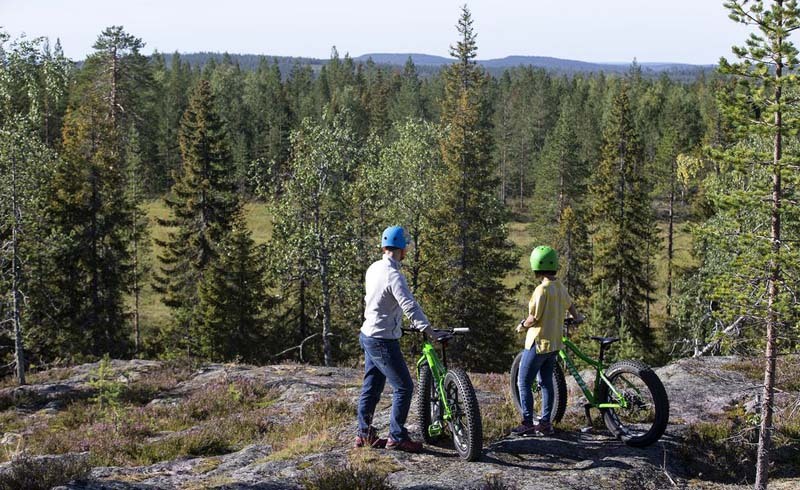 Staying at a log cabin in Lapland’s capital Rovaniemi, you can spend the days fat biking, fishing, hiking and canoeing. At night, relax in style with an Aurora floating experience in a cold lake. 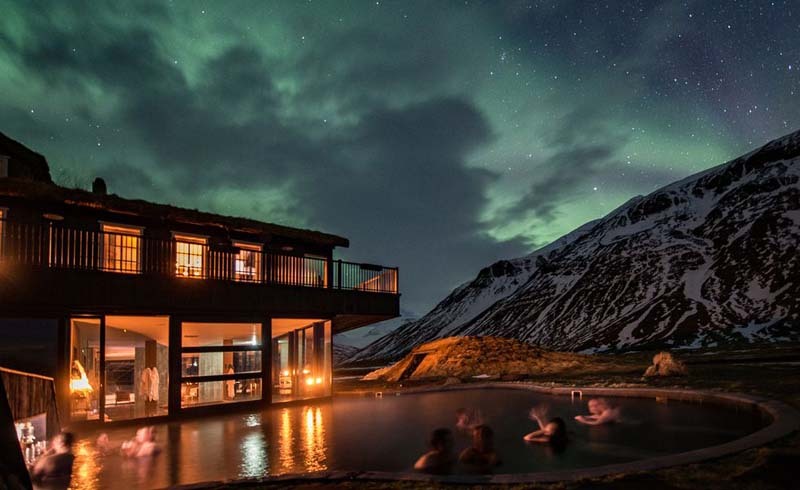 Go off-grid in Iceland’s Fljót Valley, where this remote and mountainous part of the country was made for watching the Aurora Borealis thanks to its lack of artificial light. At Deplar Farm, located at a converted sheep farm, you’ll have a front-row seat to view the ghostly display from the fine retreat’s toasty geothermal pool with a swim-up bar. While staying at the hotel, you can go sea kayaking, relax in an outdoor Viking sauna and discover Iceland’s wild landscape by bike. Embark on an alternative Northern Lights cruise by sailing the unforgettable Norwegian Fjords from Tromso on an Arctic safari aboard a comfortable catamaran. Spot eagles, seals and whales as you venture to hidden bays and relax on deck beneath the Northern Lights, before spending the night in a cosy cabin. You can try fishing in the fjords and learn all about the local marine life, as well as sample homemade Norwegian food. Explore spectacular Swedish Lapland during the magic of autumn, when you can experience the thrill of hunkering down on a bed of ice in the iconic ICEHOTEL 365 before the winter tourists arrive. 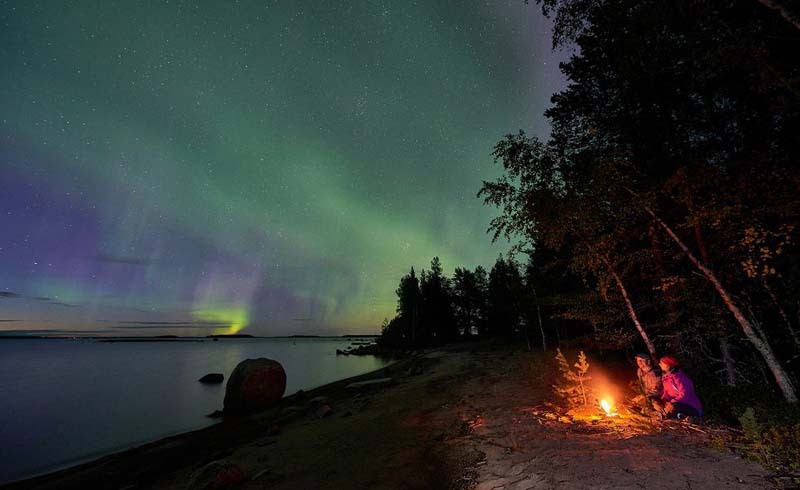 Your days can be spent foraging in forests, ice sculpting, fishing and white river rafting, culminating with a sauna session and fresh fish or moose dinners just before you head outside to spot the autumn Aurora. 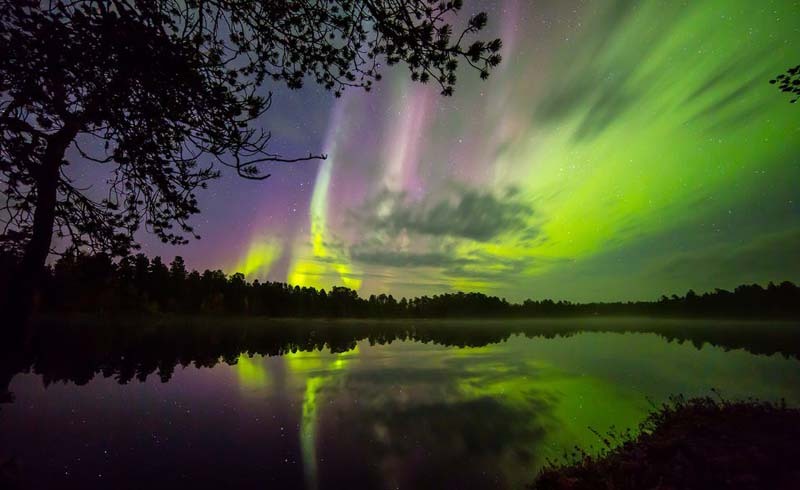 Nestled in one of Lapland’s most picturesque areas in Northern Finland, Muotka is a superb destination for an autumn getaway, where you can go on nature walks through pine forests and over sweeping fields during the day and enjoy Northern Lights stakeouts at an Aurora camp and by car after dark. On a cultural holiday to the beautiful region, you can also explore local traditions by visiting the Sami capital of Inari and the colourful Siida museum. 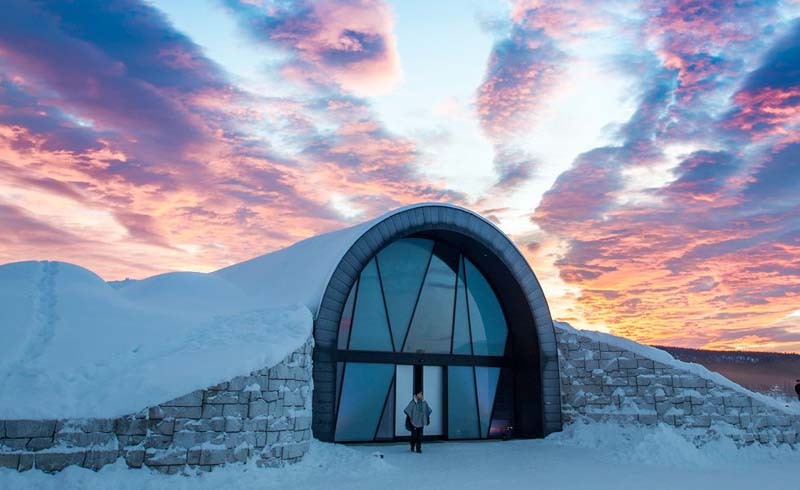 Architecture lovers looking for ideal Northern Lights viewing and remoteness on a romantic autumn escape can kick back and relax in an ocean-facing floor-to-ceiling glass cabin located above the Arctic Circle, near Bodo in Norway. 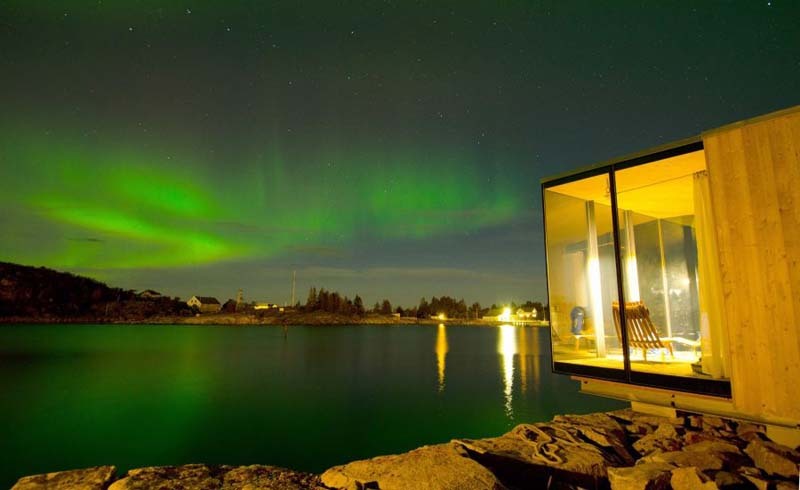 Built on ancient jetties, the sea cabins are a glorious retreat for watching the Aurora from the comfort of the bed or chair. By day enjoy coastline walks admiring the clear blue sea, pristine beaches and craggy mountain scenery.